Welcome to week four of my Day Zero Challenge to cook my way through a cookbook. Today we’re making Citrus Wake-Up. You can find the details on the original post, Fruity Friday. All recipes are taken from Readers Digest Fresh Fruit and Dessert book. 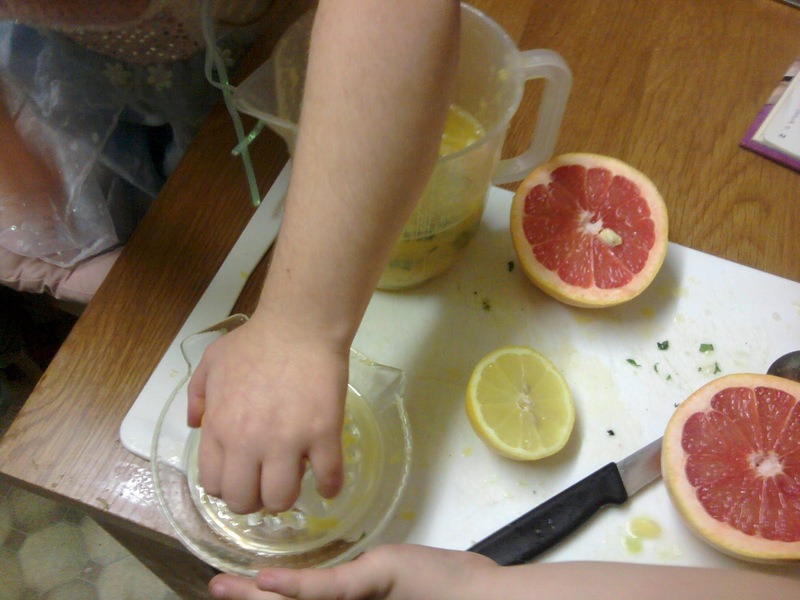 1) Cut the oranges, grapefruit, lemon and lime in half crossways. Juice them using either an electric juicer or a simple citrus squeezer, preferably one that strains out the seeds but leaves in a generous quantity of pulp. If you have no squeezer at all, poke a fork into the flesh several times, then squeeze the juice from the fruit by hand, prodding with the fork now and again. 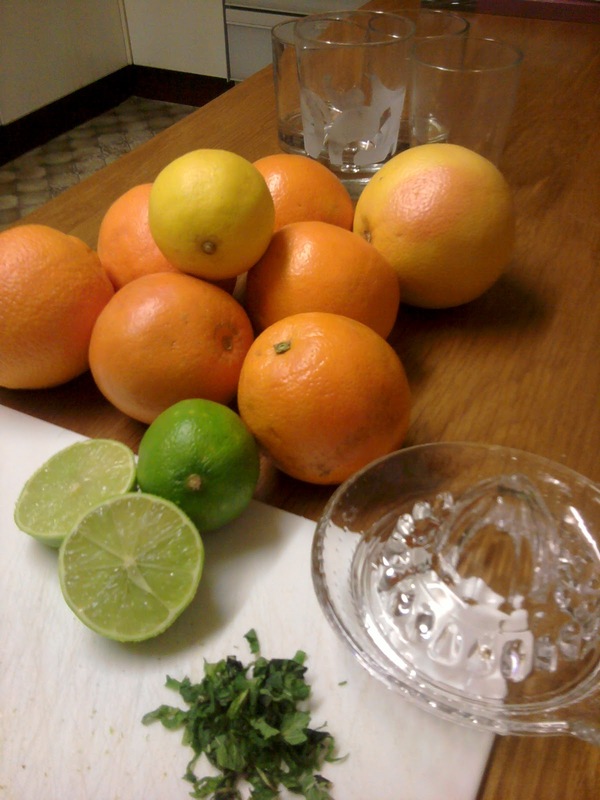 2) Combine the citrus juices in a jug with the lime zest, 4 tbsp of water, the sugar and shreds of mint. 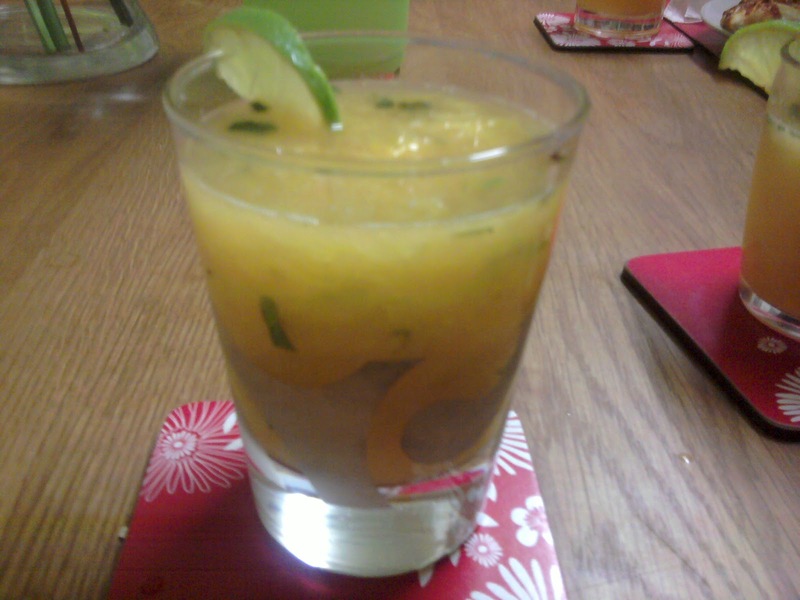 Stir then pour into glasses over a few ice cubes and, if you like, slices of lemon and lime. Not everyone enjoyed this drink, in fact, I think I ended up drinking most of it. It was just too sour for little taste buds. They had fun getting sticky making it though so it wasn’t all bad!